Plots in city centres are scarce and require compact architectural designs. 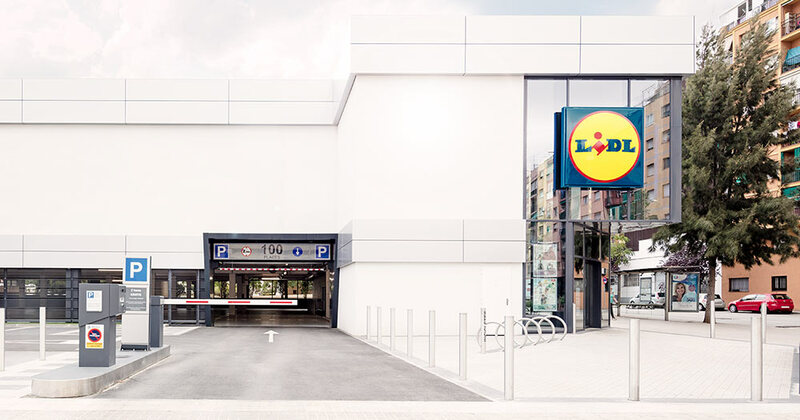 In order to also place modern local shopping facilities in urban areas where people live, we have been thinking ahead: a flexible architectural design and the option of adding further stories create new areas with many town planning benefits far beyond the local shopping centre. The option of extending the building by adding additional stories, as required, offers endless scope for new ideas and a wide range of possible uses. In specific terms, this means the following: local shopping facilities in future will have the added economic benefit of further stories that can be used for other purposes. 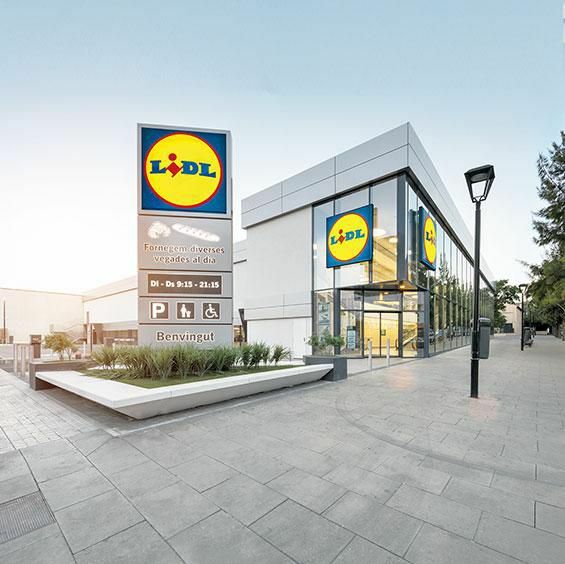 Metropolitan stores are therefore not purely commercial properties, but buildings with additional town planning benefits: the additional stories contain space for apartments, offices, co-working spaces, etc. The large, bright entrance area provides easy access to the upper story. 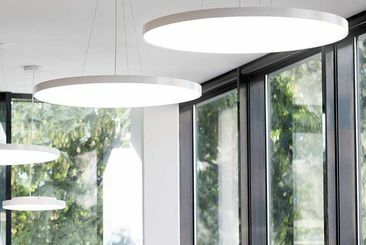 Here customers can expect to find a modern sales floor with completely redesigned product presentation. 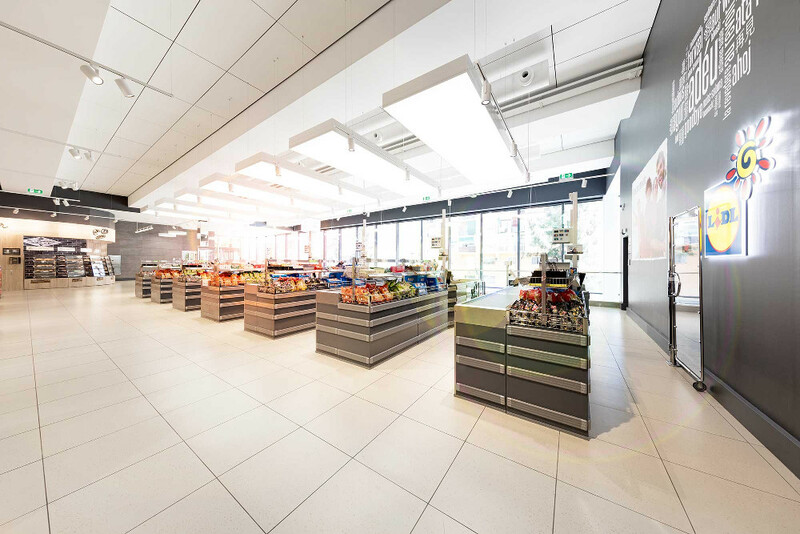 To cater for the needs of consumers in city centres, we have adapted the fresh food and convenience assortment and are responding to current trends by incorporating take-away concepts including fresh bakery produce or coffee to go. 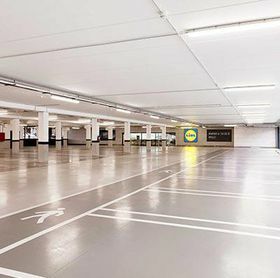 Unlike dark underground parking lots, a ground level carpark has natural daylight while also offering adequate protection from wind and weather. 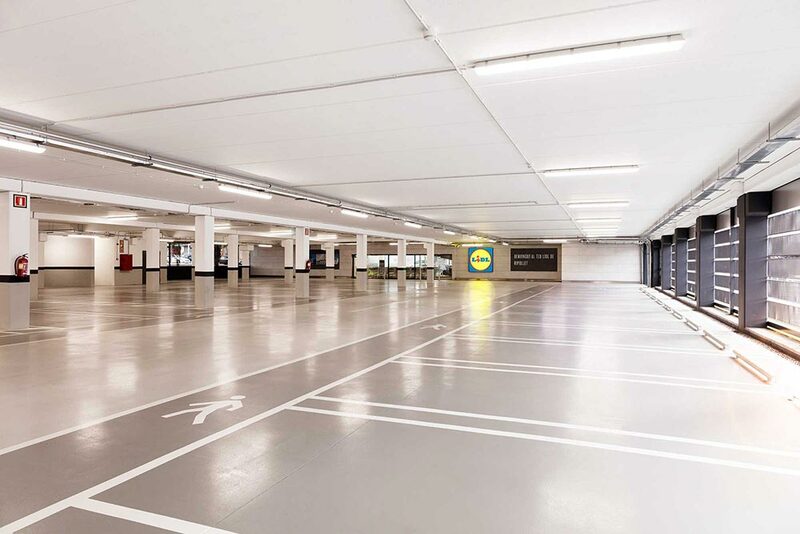 By integrating the parking lots into the building, we have solved the problem of the short supply of land in cities and provide convenient parking for customers shopping by car. 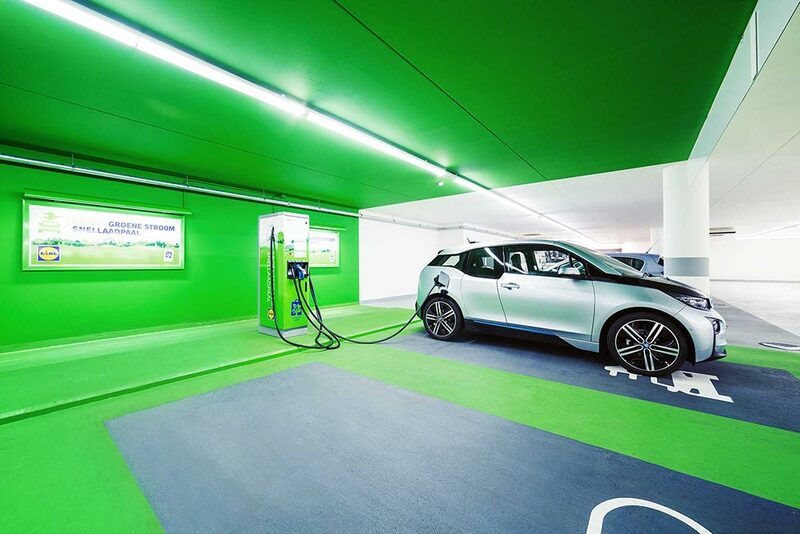 Furthermore, electric car charging stations can also be integrated here. It's just a short walk from the car park to the store. 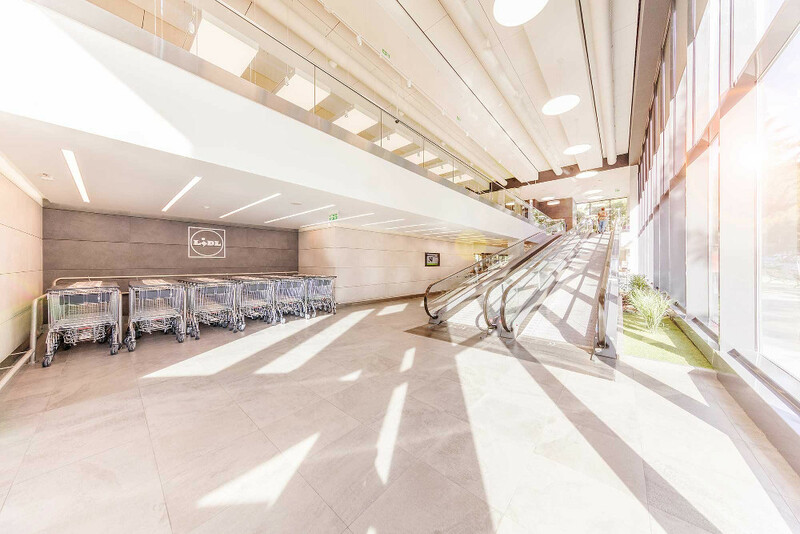 Modern architecture, a sustainable technology concept and flexible extension possibilities make the metropolitan store a construction project at the highest possible level. We are creating a completely new shopping experience and are reacting with the metropolitan store not only to the demands of inner-city development concepts, but also to our customers' wishes when they come to us – the modern local shopping facility of the future. 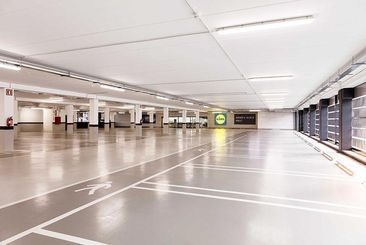 Ample parking spaces, with plenty of natural light and protected from the elements, are available for customers on the ground floor. 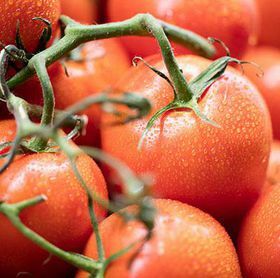 We adapt our fresh and convenience assortment according to specific needs. We are picking up on trends such as freshly baked goods to take away or coffee to go. 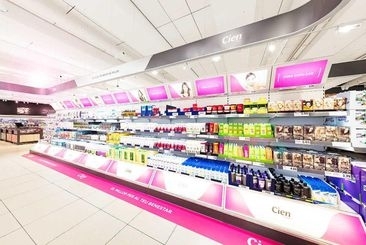 Completely revised product presentation, wide aisles and a pleasant and bright atmosphere make every shopping trip an experience. 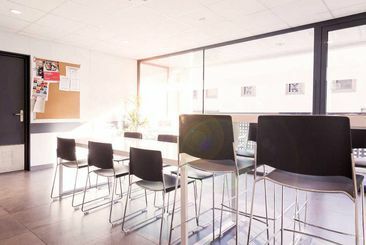 Employees benefit in their everyday work from modern staff areas designed for training courses and e-learning sessions. A even brighter and friendlier atmosphere is also created through the design and the furnishings. 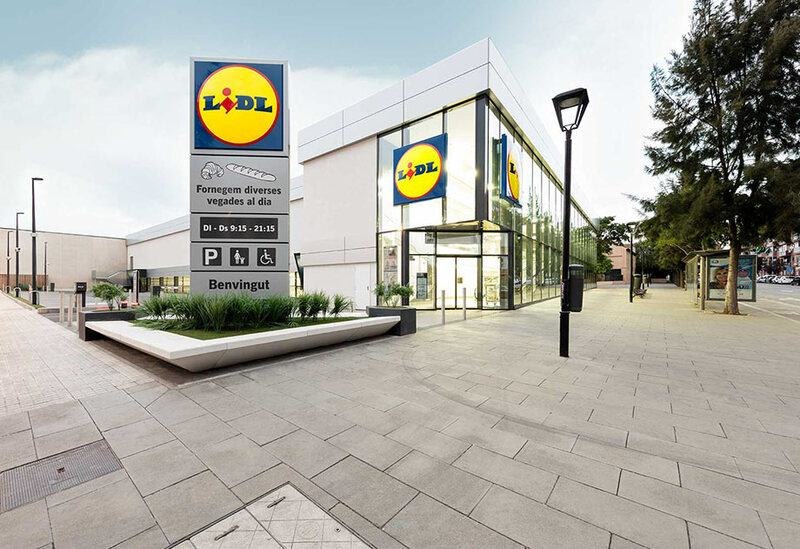 We are focusing on environmentally-friendly resources and efficient processes such as LED lighting and eco-friendly air conditioning in order to run our stores sustainably. Customer toilets, baby changing areas and more – we are constantly working on the layout of our stores in order to make sure that our customers feel comfortable while shopping with us. The metropolitan store is perfect for city centres. Thanks to the smaller space requirements and the adaptability of the facade design, a metropolitan store can be ideally integrated into densely populated city centre areas. Together, we can find the right solution for your location. developed or undeveloped from 3,000 m². Your enquiry to us Would you like more information? 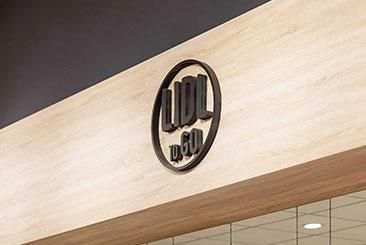 We will be pleased to answer any questions you may have regarding our new metropolitan stores or any of our other store concepts. We look forward to hearing from you!